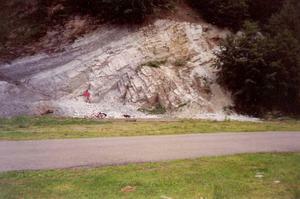 Giessenite: Mineral information, data and localities. 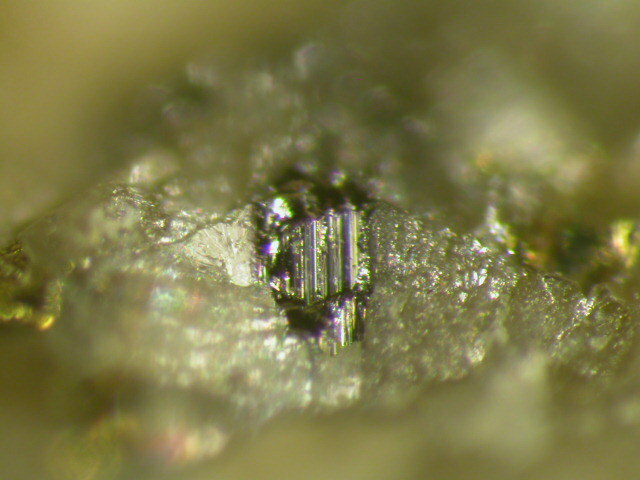 Makovicky, E. & Karup-Møller, S. (1986): New data on giessenite from the Bjørkåsen sulfide deposit at Otoften, northern Norway. Canadian Mineralogist 24, 21-25. Moëlo, Y.; Roger, G.; Maurel-Palacin, D.; Marcoux, E.; Laroussi, A. (1995): Chemistry of some Pb-(Cu,Fe)-(Sb,Bi) sulfosalts from France and Portugal. Implications for the crystal chemistry of lead sulfosalts in the Cu-poor part of the Pb2S2-Cu2S-Sb2S3-Bi2S3 system. Mineralogy and Petrology 53, 229-250. Ozawa, T., Saitow, A., Hori, H. (1998): Chemistry and crystallography of Bi-rich izoklakeite from the Otome mine, Yamanashi Prefecture, Japan and discussion of the izoklakeite-giessenite series. Mineralogical Journal 20, 179-187.
ⓘ Kengma Sn deposit (Kenma Sn deposit; Kangma Sn deposit) ? Pašava, J., Kříbek, B., Dobeš, P., Vavřín, I., Žák, K., Fan Delian, Zhang Tao, and Boiron, M.-C. (2003): Mineralium Deposita 38(1), 39-66. Orlandi, P. (2007). Seit uber 2000 Jahren: Marmorabbau in der Toskana. Geologie und Mineralien der Apuaner Alpen. Die Mineralien der Marmor-gebiete rund um Carrara, bei Massa und der Versilia. Lapis, 7/8, 15-58. ; Orlandi, P. & Criscuolo, A. (2009). Minerali del marmo delle Alpi Apuane. Pacini editore, Pisa, 180 pp. Kołodziejczyk, J., Pršek, J., Voudouris, P. C., & Melfos, V. (2017). Bi-sulphotellurides associated with Pb–Bi–(Sb±Ag, Cu, Fe) sulphosalts: an example from the Stan Terg deposit in Kosovo. Geologica Carpathica, 68(4), 366-381. Karup-Møller, S. (1973): A giessenite-cosalite-galena-bearing mineral suite from the Bjørkåsen sulphide deposit at Ofoten in Northern Norway. Norsk Geologisk Tidsskrift 53, 41-64; Makovicky, E. & Karup-Møller, S. (1986): New data on giessenite from the Bjørkåsen sulfide deposit at Otoften, northern Norway. Canadian Mineralogist 24, 21-25. Gołębiowska B., Pieczka A., Parafiniuk J. 2006: Cu(Ag)-Pb-Bi(Sb) sulphosalts from Rędziny (Western Sudetes, Poland). Mineralogia Polonica - Special Papers, vol. 28, 78-80; Pieczka, A., Gołębiowska, B., & Parafiniuk, J. (2011). Gold in sulfide-telluride assemblages at Rędziny, Rudawy Janowickie Range. Gold in Poland, AM Monograph, (2), 119-134. Pršek J. & Ozdín D., 2004: Nuffieldit Pb2Cu(Pb,Bi)Bi2S7 z hydrotermálnych mineralizácií Nízkych Tatier. Mineralia Slovaca, 36, 3-4, 273-278. Ozdín, D., Pršek, J. (2004): Sulfosoli homologického radu lillianitu z hydrotermálnych mineralizácií Nízkych Tatier. Mineralia Slovaca, 36, 3-4, 279-285. Stalder, H. A., Wagner, A., Graeser, S. and Stuker, P. (1998): "Mineralienlexikon der Schweiz", Wepf (Basel), p. 182.